How to convert WebP to PNG in batch? 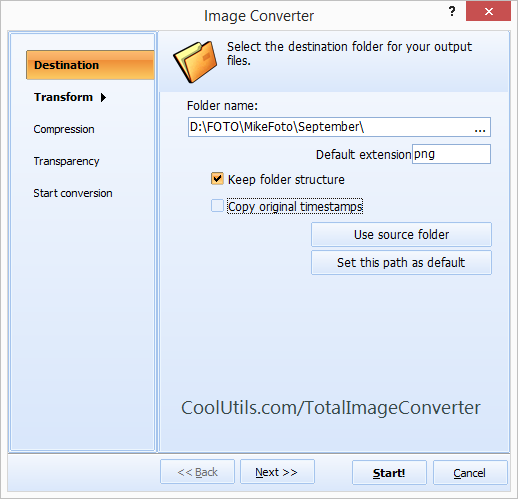 You are here: CoolUtils > Total Image Converter > How to convert WebP to PNG in batch? 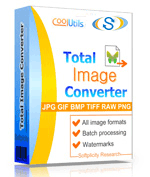 With the Total Image Converter you can convert WebP to PNG format easier than ever before. Our user-friendly conversion app features an exciting set of image customization options. Our users can rotate, resize, crop and add watermarks to their images prior to image conversion. The WebP to PNG Converter also offers users direct access to the command line! Thanks to the WebP Converter, modifying your current WebP files into other formats is now quick and easy! We developed the WebP to PNG Converter app with an awareness that not every platform and program are able to interact with each other. Given that WebP is still a fairly new file format, many users find they are required to convert their WebP files. Once converted into a different format their files become accessible. That said we introduce the WebP to PNG Convertor. With CoolUtils' WebP Converter you'll be able to take all your WebP files and convert them into PNG format. As part of the conversion process, you'll benefit from all the style options included in our program. Try our WebP to PNG Converter by downloading our 30 day free trial. You can also convert WebP files using our free online service located here; a quick way to learn what's involved with converting WebP to PNG. Once you've discovered how simple it is to operate the WebP Converter, upgrade to the full version for just $24.90. In so doing, you'll unlock access to the batch WebP converter (crucial for big projects). You will also become the recipient of a lifetime license that guarantees you receive all future upgrades for free! Explore some of the other formats the Total Image Converter can help convert WebP files to including: JPEG 2000, JPEG, PDF, and more. 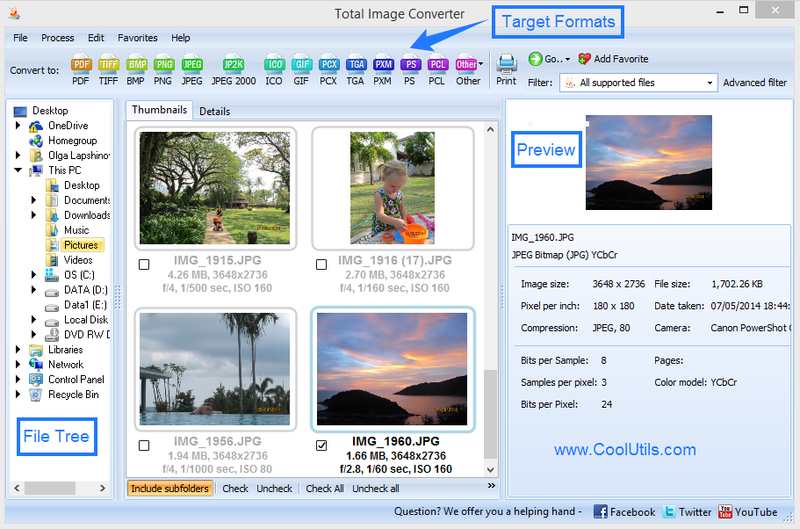 The Total Image Converter also features English, Spanish, German, French, Russian, Dutch, Swedish, Italian, Portuguese, Czech, Japanese, Chinese, and Korean interface support versions.